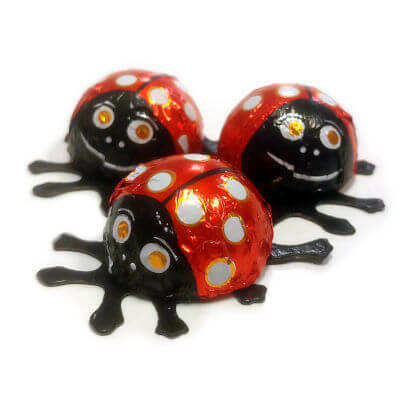 Adorable peanut butter filled lady bugs. 3 ct. Just over 1 inch in diameter. Foil wrapped. Made in USA.